Mr. Isaac Joshua started his career in the hospitality industry at the tender age of 14 and has since accumulated extensive hospitality experience in both the domestic and international hospitality arena. His international experience were gained with various restaurant and hotels and more prominently SHA & Shatec Institute, Raffles Hotel and Goodwood Park Hotel. He has also managed various official hospitality events for various Ministries of Singapore before moving on to oversee an European chain of luxury restaurants within Asia in the capacity of Operations, Training & Development Manager. 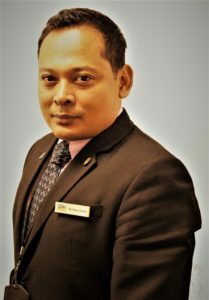 He has been a Senior Lecturer in the hospitality faculty since 2007 delivering International Hospitality Management programmes prior to his current designation. Mr. Isaac, who is also a recognised I.T.E (Institute of Technical Education) Industry Trainer, is regularly involved in a range of projects which include provision of various Food & Beverage operational trainings for the industry; creation of operational solutions for local & international hospitality firms and international internship management. Apart from this, he is constantly seeking innovative and creative methods of improving the delivery of hospitality education and industrial processes for the hospitality industry. Mr. Isaac holds a Master of Training and Development from Griffith University, Australia, BA (Bachelor of Arts) Hospitality & Tourism Management from Queen Margaret University and the Certificate in Teaching English to Speakers of Other Languages (CELTA) from the University of Cambridge, United Kingdom. 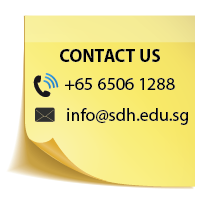 A fervent believer of lifelong learning, he’s recently completed his Specialist Diploma in Applied Learning and Teaching (SDALT) from Republic Polytechnic, Singapore. He is also a member of the Food & Beverage Managers’ Association (FBMA), Restaurant Association of Singapore (RAS) and Association of Bartenders & Sommeliers Singapore (ABSS). He had led a team of students from SDH Institute to 1st and 2nd placing for the student category of the National Cocktail Competition 2015 organised by ABSS.